Dresden, Chemnitz, Bautzen, Claußnitz, Freital, Heidenau – only a short time ago these villages and cities in Saxony – apart from Dresden – have been unknown to the wider public. Now they have in only a few weeks gained quite a recognition and media coverage – in a negative sense. In all of them refugees have been attacked by right-wing groups. The German newspaper Die Zeit has created a map depicting criminal offences with a racist or right-wing background. And the federal state in which most of these acts are committed is… Saxony. But why is that the case? As a teacher I have discussed this with my pupils in their politics basis course and tried to find some answers or explanations. The first word that gained our attention was “fear”, fear to lose something people believe they are entitled to have – in this case often money but sometimes also work. One thing that caught my pupils’ attention was the insight that foremost elderly people have problems with refugees – even though they once also had to flee their homes and after World War II had to start a new life as foreigners in a foreign region. But is this something typical for Saxony? Not really, no. Typical for Saxony is perhaps that so far people had only little or no contact at all with refugees or people originating from other countries and living in their direct neighbourhood. What is normal for Berlin or Cologne was until recently non-existent here, especially in the province, outside the bigger cities like Leipzig: The average percentage of foreigners in the last years has been at about 2 per cent of the total population. Many people are simply afraid of what they do not know. In Görlitz where I live, a city at the German-Polish border, there have been no arson attacks or assaults so far. The contrary: A welcome committee received the refugees, who from the very beginning were accommodated decentralized. Two families are for example currently living in our parish hall. But even here the refugee numbers are so high, the council had to turn a vacant building into refugee accommodations. Other buildings in the surrounding villages followed. The city from the very beginning tried to ease the integration of refugees, not allowing deep rifts to open up between locals and refugees. There had been evenings when refugees cooked for local citizens, the council supported a kind of mentoring program and of course there were those helping individually on a daily basis, no one officially recorded. The cityscape has changed. There are a lot more women wearing headscarves and men with a slightly darker skin colour. So everything is just fine? 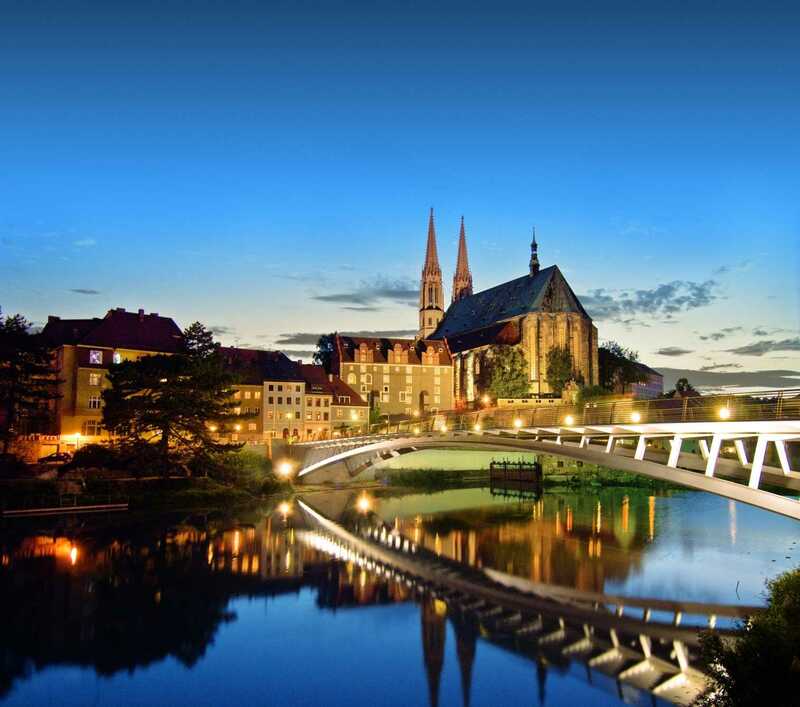 Is Görlitz so different in comparison with other Saxon cities – Bautzen or Clausnitz? Talking with friends makes it clear: This is not the case. Some have experienced it when talking with colleagues, the deep-rooted hatred towards the newly arrived. Some statements border on being actual criminal offences and go against human or constitutional rights, the human being no longer counts. A lack of empathy and knowledge, a lack of interest and jealousy might be the main reasons why people say what they are saying. Some cannot comprehend that people are not leaving their home country out of free will but because they have no other choice. The suffering is too severe. Some criticize refugees for owning a mobile phone, often enough the only way to communicate with those left at home. Rumours arise that have no basis. In Görlitz, too. For some the regular Pegida demonstrations in Dresden might be a chance to express their general dissatisfaction with the system. But if attacks like those in Clausnitz are declared to be all right or – far worse – refugees are blamed for these assaults, people are overstepping boundaries. This is actually an extreme right-wing attitude and thinking. Whoever applauses something like this and at the same time claims not be right-wing or a Neo-Nazi, has clearly lost his moral compass. Why these assaults so frequently occur in Saxony is a question I cannot answer to full satisfaction. It is not easy to find a cause. Partially politics lack an open discussion about these topics, in the early 1990s there had been a similar situation that was at a large extent kept under wraps instead of processed and discussed. Apart from that the funding of political education has been further and further reduced in recent years. The “Landeszentrale für politische Bildung” (Saxon Centre for Political Education) can tell a tale. “We don’t need that, it’s too expensive”, Saxons state minister and his colleague in the financial department had declared. Really? It appears sometimes that people indeed have no longer any interest in refugees and their problems. No matter which aspect you try to bring into a discussion, many now do not even want to listen, shrug it off or torpedo the discussion with the same counterarguments again and again. The latter might be part of a healthy political discussion, all right. But the rest? Lack of knowledge could be remedied with information, but that is something your opposite needs to be willing to do. The main reason for people’s reserve might indeed be fear – fear of the unknown, the stranger, fear that the state will help refugees more than it has ever done for its own citizens. Fear, that the money is not enough for everyone. Those fears are irrational and therefore it is hard to counter them with fact-based arguments. But what to do, to make the fear go away? This is a question hard to answer indeed, as complicated as the question why Saxony is affected to this huge amount. Those who incinerate houses in arson attacks, hurt people and therefore violate a law have to be persecuted – no matter their nationality. But how to tackle subconscious fears? In the end everyone has to start with him- or herself: Standing up for universal human rights, making oneself aware of the situation. At the moment this is not easy, but it is necessary to form an independent, balanced and humane opinion. And more important than ever: Speaking one’s mind even if it is the hardest thing to do when confronted with racism and open hatred. This is something many in Görlitz have done recently: Albrecht Bönisch for example, the pastor of the Kreuzkirchengemeinde Görlitz appealed in a prayer for peace to protest for peace and more humanity. Something many people followed forming a human chain through Görlitz’ city centre holding candles in their hands. I was there, too. And we definitely have been more than the few counter protesters at the Deminaniplatz. Tags: Bautzen, Chemnitz, Claußnitz, Dresden, Görlitz, Germany, Racism, Refugee, Refugee Crisis, Saxony. Bookmark the permalink.